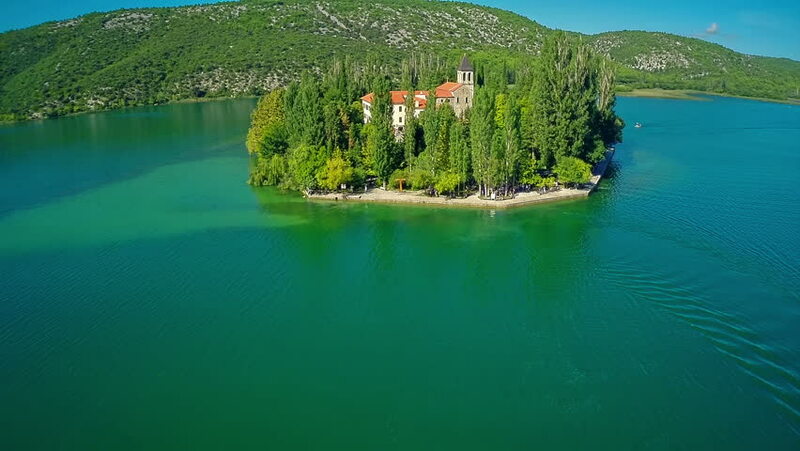 Copter aerial view of the Catholic monastery on the island Visovac in the Krka National Park,Croatia. Because of the centuries-long devotion Visovac is also called Mother of God Island. hd00:29Boy and girl go on a picnic. A girl and a guy walking around the lake. Then stop for a picnic. Five frames.